Platinum Games and Activision have slapped a release date on their martial arts game, The Legend of Korra, aiming to release it in late October. PC, PlayStation 3, and PlayStation 4 fans will be able to pick it up on Oct. 21, and Xbox 360 and Xbox One users can join in on the fun the following day on Oct. 22. I'm not exactly up to speed on what The Legend of Korra is, because I am stuck in Japan where we have no Nickelodeon. From what it looks like, it's the latest in a trend of American animation television networks trying to capitalize on the booming anime trends of the previous decade. Either that or Nickelodeon is really trying hard to find a quality successor to Avatar: The Last Airbender. By all accounts, it must be doing quite well. People are genuinely excited about playing this game, and I am seeing more support from gamers than I usually do for licensed multimedia products. Is the show really that good or are most gamers, like myself, just excited because it has the king of Japanese action games, Platinum Games, tied to it? From the trailers I've seen, The Legend of Korra looks about as simplistic of an action game that Platinum is able to make, but I suppose that is necessary for the wide, younger audience the game has to aim for. IGN's interview shows off a new "pro-bending" mode, which Platinum claims faithfully recreates the sport found in the series' and puts it in a multiplayer mode. I'm not familiar with it, but I could really go for some Blitzball right now. Anyone? 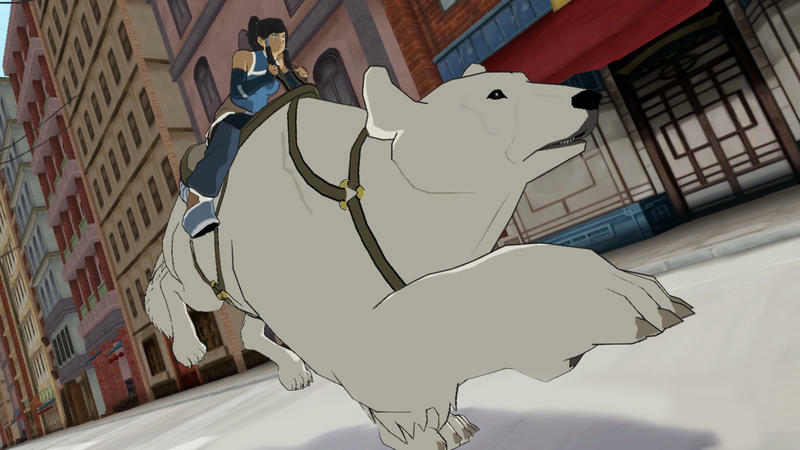 It's a shame for the Wii U that it won't be receiving this The Legend of Korra, because this looks exactly like the kind of family focused game that Ubisoft said it was going to try and make for the console.